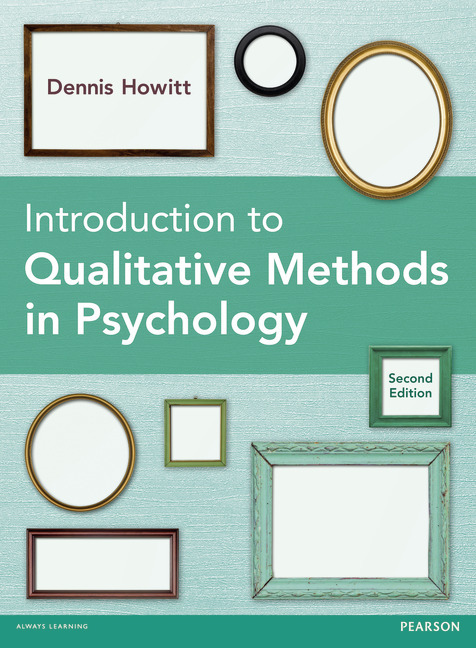 This second edition of Dennis Howitt’s Introduction to Qualitative Methods in Psychology provides a wealth of practical and theoretical advice which has made it such a trusted and valuable resource for students. Clear explanations and examples take you through qualitative research from data collection to analysis, and dedicated sections offer guidance on ethics, quality and report writing. Methods are broken down to give step-by-step practical advice and guidance, making sure that you understand the theory and can carry out your own research. All of this is achieved while providing a thorough theoretical and historical context for the various methods. 1 What is qualitative research in psychology and was it really hidden?